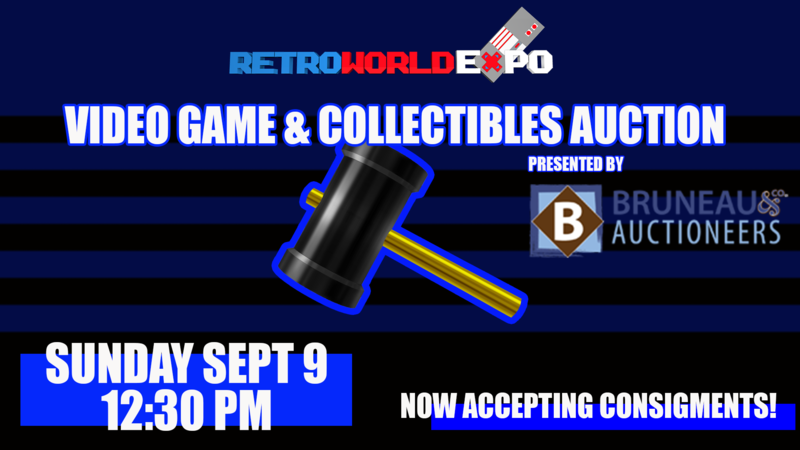 The RWX Video Game & Collectible Auction consists of high-end video game related items and collectibles that are consigned by attendees. The auction is catalogued and called by Bruneau & Co Auctioneers out of Cranston, RI who specializes in other collectibles auctions. The Auction will be held on Sunday Sept 9, 2018 at approx 12pm (noon) on the main showroom floor. This is a high end collectibles auction. Minimum price for individual items should be $50. There will be a sellers premium and buyers premium charged at the time of sale as well as CT sales tax 6.5%. Sellers and Buyers premiums will generally be between 15-20% but vary depending on the price of the item.